In April 1917 the crews of the Royal Flying Corps and French Air Force launched a major offensive to break the frustrating and deadly stalemate on the Western Front. However, all attempts at supporting the land forces were countered by the new German Jagdstaffeln. 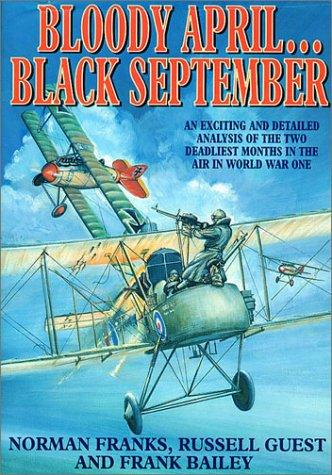 What followed was a massacre and the worst month for flying casualties so far in the war. The events 15 months later were no less disastrous with the Allies including the Americans, once again suffering a crushing and unprecedented defeat just six weeks from the war's bloody finale. This book includes details on all known Allied losses and in many cases the victorious German pilots are provided.